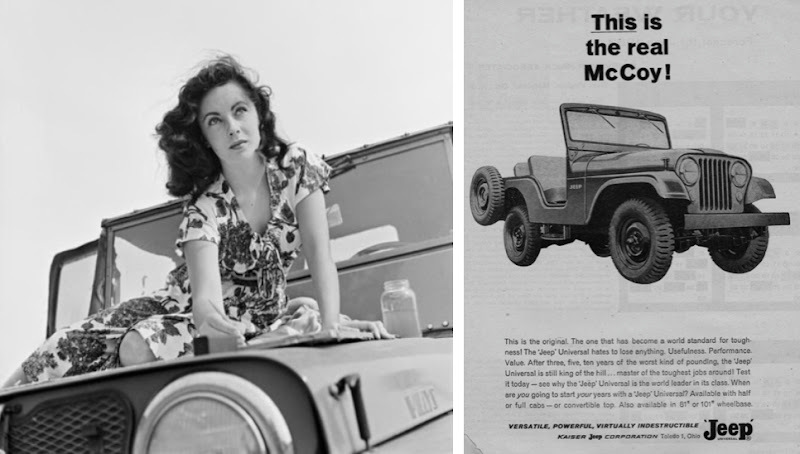 A couple of days ago the Wall Street Journal posted a study that shows consumers consider the top three most patriotic brands in the U.S. to be: Jeep, Levi's, and Coca-Cola in that order. Food for thought as we toast the country's 238th birthday tomorrow. 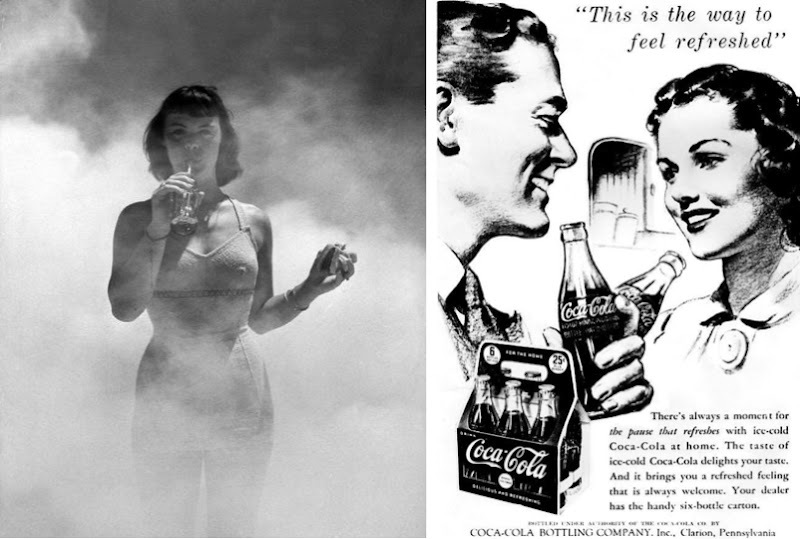 As an interesting side note, the bottom left photo from 1948 is not a Coca-Cola ad, but a LIFE Magazine photo of a model being sprayed with DDT. The idea for the photo was to demonstrate how the (now-banned) insecticide wouldn't contaminate her food or drink. Now it's clear that DDT was not good for humans or the planet, and scientists note that the US ban on DDT was a major factor in the comeback of the bald eagle—so I guess if I'm ever asked to take a consumer poll, I'm going all out for the EPA as the most patriotic brand in America! 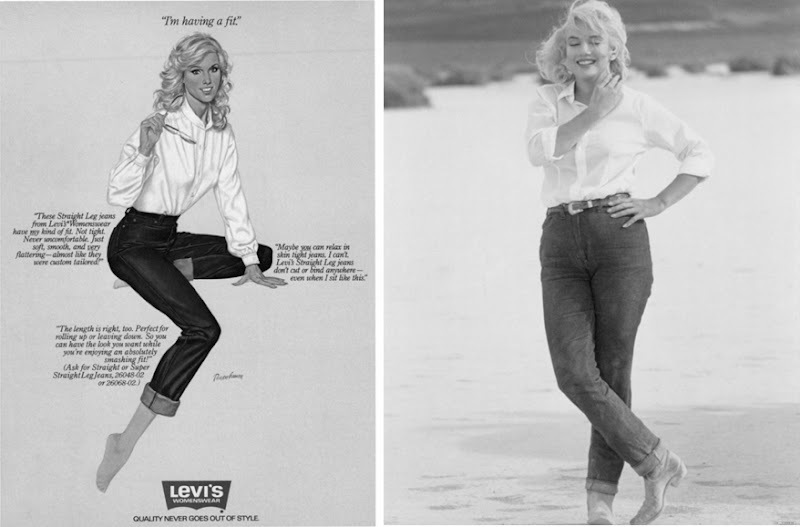 Ironic that Levi's would be included, considering the fact that they make hardly anything in the USA itself. Proof of the power of marketing. Always check the label! The DDT model bears resemblance to Betty Page, but I can't imagine a squeaky clean magazine like LIFE using her as a model! Scandalous!